Forget about stashing your jewelry away in some boring box. 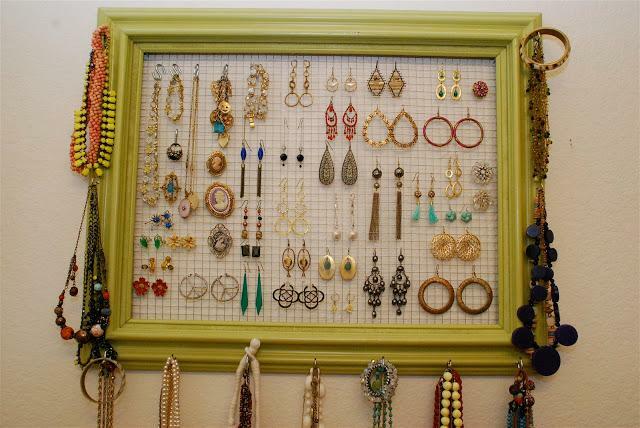 Instead, use one of these creative ideas for storing, organizing and displaying all your pretty necklaces, rings, and earrings. These make it easy to grab and go, and add a decorative element to the room. 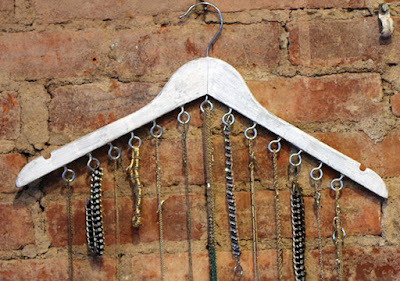 This hanger hack looks stunning against a plain brick or heavy patterned wall. Just paint on a metallic coat and screw in eye hooks the length of the wooden hanger to achieve this functional display. 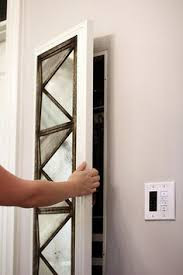 Wood floor samples are around a quarter each at your local home improvement store. 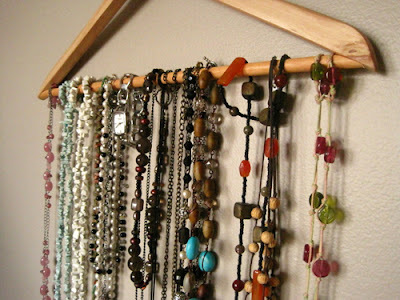 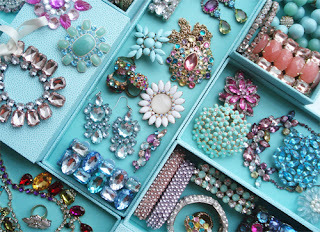 You can use a few of these to create a beautiful jewelry organizer that will hang on the wall. 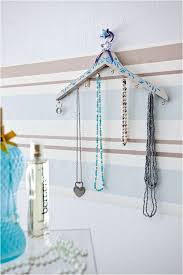 You need a collection of samples (or you could just use a board if that’s what you have on hand), wood glue, a few screws and something to hang it. Keep your earrings, sunglasses and scarves in one easy-to- find and awesome-to-look-at place. 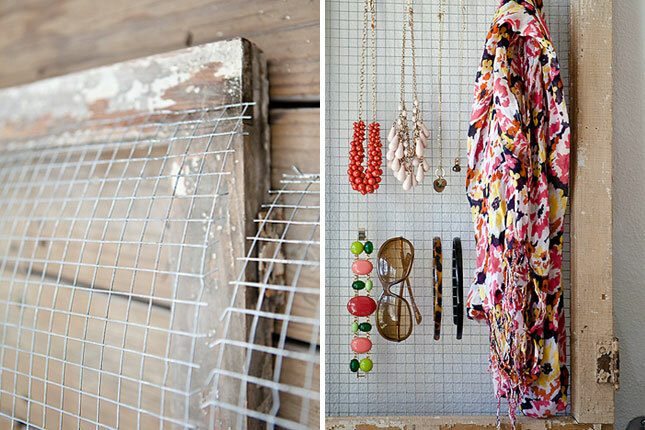 We dig the shabby chic vibe of this distressed window frame. 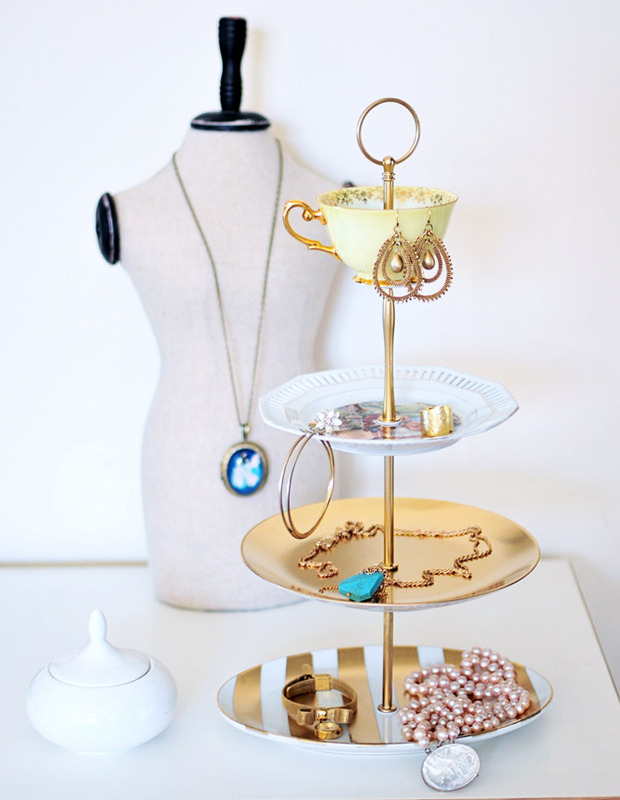 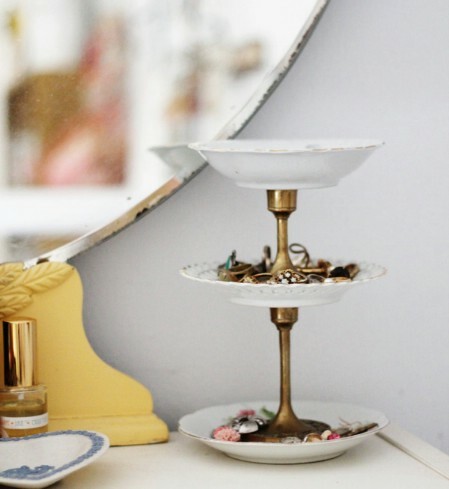 This beautiful vintage jewelry stand can be made with things that you have on hand.You will need a couple of brass candle sticks and at least three vintage plates. You’ll also want some superglue to hold it all together. 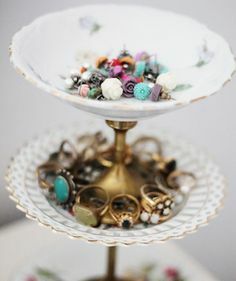 It looks like the jewelry stand that your grandmother kept her treasured pieces in and it’s absolutely gorgeous and really holds quite a few rings, earrings, and bracelets. 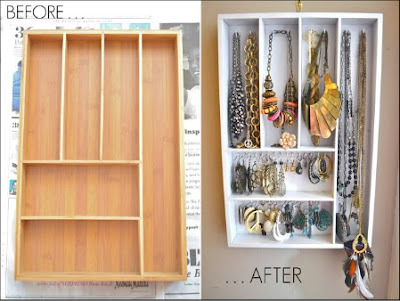 Now this is a great jewelry storage project. 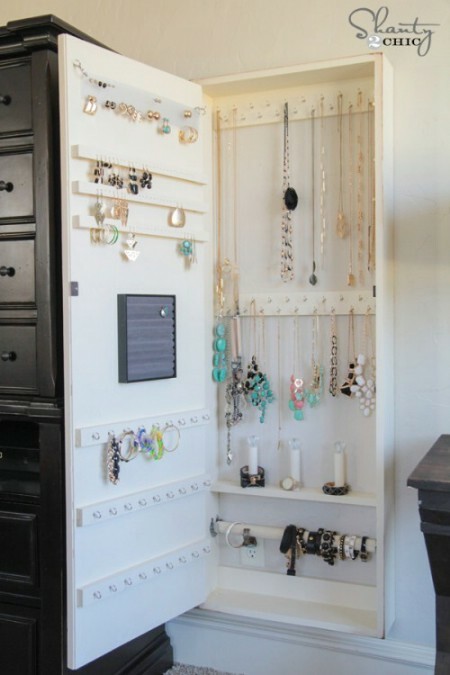 Not only is it easy and relatively cheap, you get enough room to store all of your jewelry and then some. 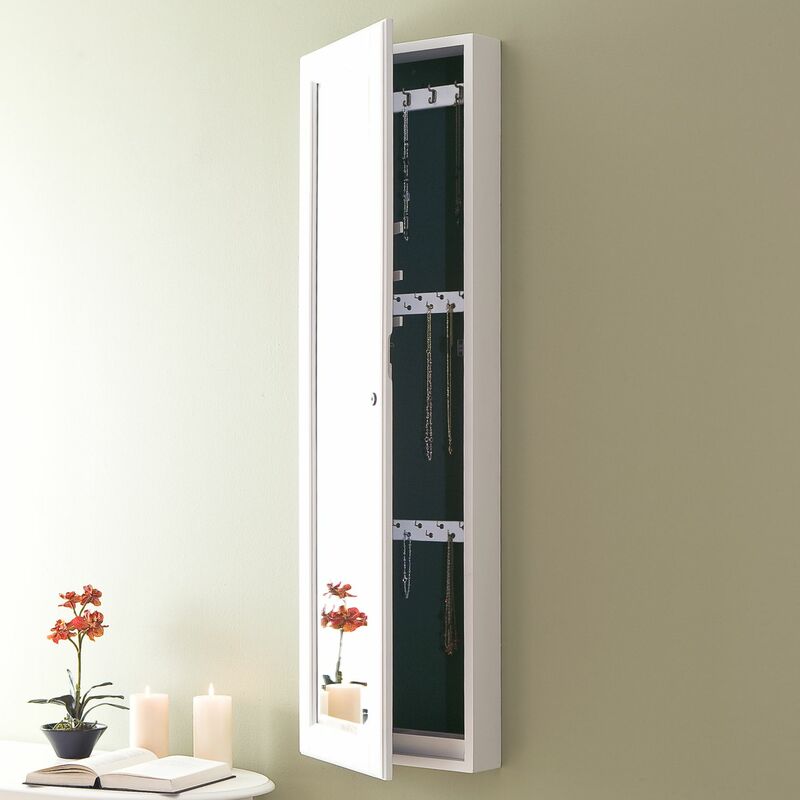 It’s a hideaway jewelry cabinet that has a mirrored door and it fits perfectly wherever you have room on the wall. 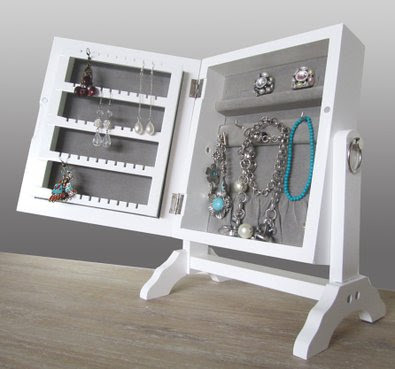 It’s got hooks for everything and will seriously hold tons and tons of jewelry and keep it perfectly organized. Imagine having your own jewelry cabinet and not having to shell out a couple hundred bucks for it. 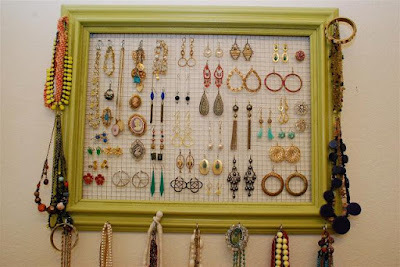 Plus, the mirror is good for trying on jewelry to make sure that it matches what you’re wearing.